When our donors and supporters learn about the quality programs and services that Volunteers of America offers, they often say, “I wish I could do more.” There is a way. A carefully planned gift gives you the opportunity to make an impact with your estate while still caring for your loved ones. A planned gift empowers you to help shape their community for many years to come and help our most vulnerable citizens. Volunteers of America’s Planned Giving Program ensures that we can continue to create positive change in our community for years to come. 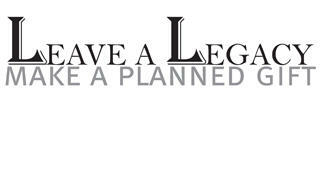 Our trained staff of planned giving professionals can help you create your own legacy and make your charitable wishes a reality. We can work with your attorney or financial adviser to explain the many different ways to give that align with your plans and goals for the future and for your heirs. Through a planned gift, donors are able to help the individuals and families we serve in a variety of ways. Planned gifts are made in the form of assets rather than income to insure long-term impact. Whether through a gift of stock, bequest, life insurance policy, or a trust, a planned gift is arranged by you legally during your lifetime. The principal benefits accrue to Volunteers of America at a later time, after your death, or the death of your last named beneficiary. Planned gifts take many forms and can reduce income and estate taxes, and help to fulfill your personal charitable objectives. Consult with your attorney or other professional adviser in considering a planned gift to Volunteers of America. To learn more about making a planned gift contact Farrah Ferriell, Senior Director of Development at (502) 636-4639 or FarrahF@voamid.org.